Tracey played Dr. Eve Russell on the NBC Daytime drama Passions. Her appearances at Actor's Art include On Four and Women Do Get Weary. She began her career when she became "Star Search's" first ever $100,000 spokesmodel champion. She went on to land recurring roles on both Ryan's Hope and All My Children. 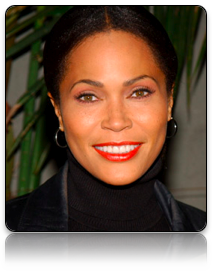 Her other television credits include The Cosby Show, Doctor, Doctor, ROC, The Gregory Hines Show and Baywatch Nights. Ross has appeared in the telefilms Mayflower Madam and Valley of the Dolls. A native of Brooklyn, N.Y., Ross currently lives in Los Angeles with her son. She enjoys gardening, reading and rock climbing.